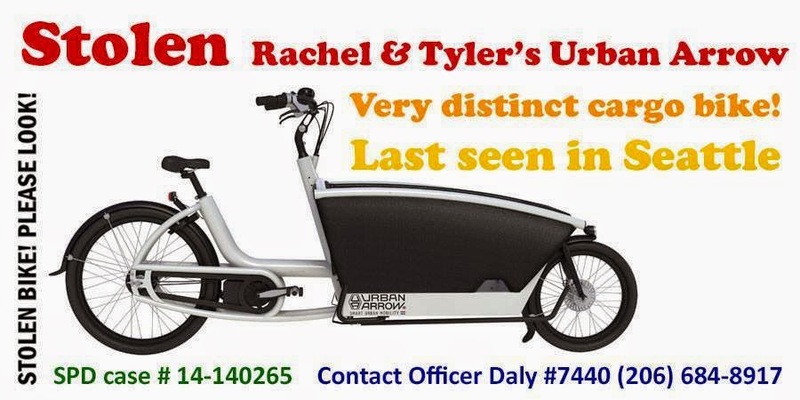 Update: after several sightings the bike was recovered 5/10/2014! 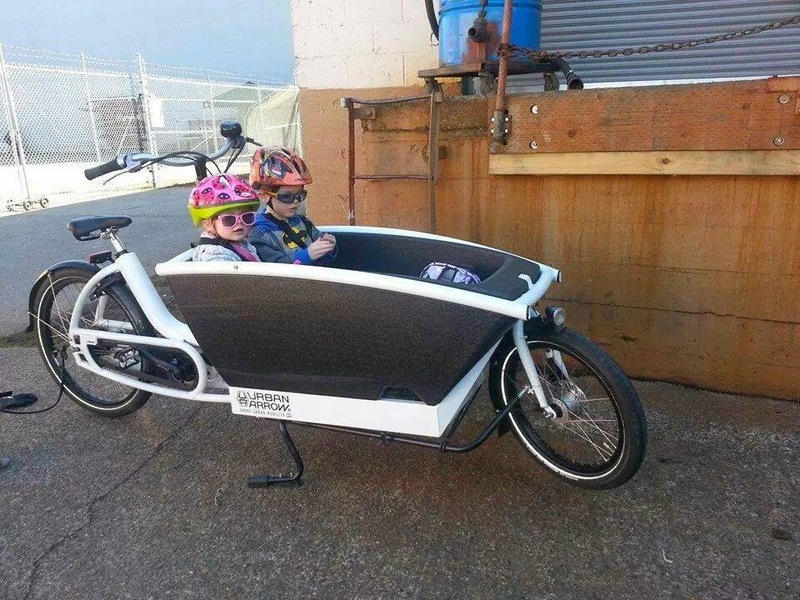 A family out in Seattle whom likely have the ONLY Urban Arrow there had it stolen last night (5/6/2014). Please if you come across an ad or someone riding it out there or trying to sell you one that is not an authorized owner/dealer please call the number below ASAP. THESE KIDDOS WANT THEIR BIKE BACK!